Every cat counts. That's the premise of the Million Cat Challenge, a joint campaign of the UC Davis Koret Shelter Medicine Program and the Maddie's® Shelter Medicine Program at the University of Florida. Sponsored by Maddie's Fund® and led by Drs. Kate Hurley and Julie Levy, the Million Cat Challenge seeks to partner with animal shelters across North America to implement one or more, or all of five initiatives designed to increase the number of cats who leave shelters alive. These programs will reduce intake, improve the conditions cats experience in shelters, remove barriers to adoption and revolutionize the way community/feral cats are handled. Drs. 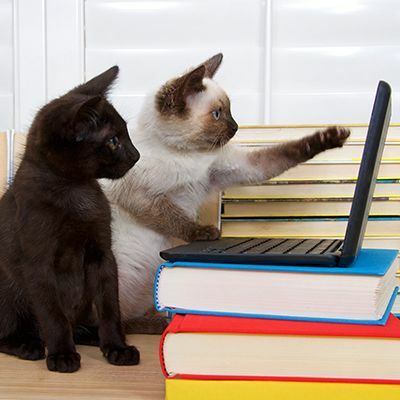 Hurley and Levy join us for a free Maddie's Fund® webcast, The Million Cat Challenge. The Million Cat Challenge is part of an ongoing series of educational programs from Maddie's Institute, a program of Maddie's Fund, the nation's leading funder of shelter medicine education. Maddie's Institute brings cutting edge shelter medicine information from universities and animal welfare leaders to shelter veterinarians, managers and staff as well as private practice veterinarians, rescue groups and community members to increase the lifesaving of homeless dogs and cats community-wide. After joining the faculty of the University of Florida specialty service in internal medicine in 1997, Dr. Levy began devoting herself to the emerging field of shelter medicine full-time in 2008 when she co-founded Maddie's® Shelter Medicine Program. The program focuses on training veterinary students and shelter specialist veterinarians, shelter consultation and research into solving the problems that challenge animal shelters. She has spent the past decade helping to develop a recognized veterinary specialty in shelter medicine, a dream that finally came to fruition in 2014. Dr. Levy's research and clinical interests center on the health and welfare of animals in shelters, feline infectious diseases and humane alternatives for cat population control. She has performed long-term studies of contraceptive vaccines for cats that, if successful, could greatly enhance the impact of feline population control programs by eliminating the need for surgical facilities and highly skilled medical personnel to sterilize cats. Dr. Levy is the founder of Operation Catnip, a nonprofit trap-neuter-return program that has sterilized more than 44,000 cats in Gainesville, FL, since 1998. She has published more than one hundred journal and textbook chapters, many focusing on community cat issues. Kate Hurley is the Director of the UC Davis Koret Shelter Medicine Program. Dr. Hurley began her career as an animal control officer in 1989. After graduation from the UC Davis School of Veterinary Medicine in 1999, she worked as a shelter veterinarian in California and Wisconsin. In 2001, she returned to UC Davis to become the first in the world to undertake a residency in Shelter Medicine. Following completion of the residency, Hurley became the Director of the UC Davis Koret Shelter Medicine Program. Two of her proudest achievements are co-authoring the Association of Shelter Veterinarians' Guidelines for Standards of Care in Animal Shelters and co-editing the textbook Infectious Disease Management in Animal Shelters. She loves all things shelter-related, but her particular interests include welfare of confined dogs and cats, humane and effective strategies to manage community cats, infectious disease, and unusually short dogs. She loves shelter work because it has the potential to improve the lives of so many animals and the people who work so hard to care for them. For more information about the Million Cat Challenge, visit www.millioncatchallenge.org.